Did you know that water makes up about 60% of one’s body weight? Water is the key component that makes many systems of the body function properly. When a person becomes dehydrated she may experience light-headedness or dizziness (a factor in falls), have muscle weakness and be at greater risk for urinary tract infections. 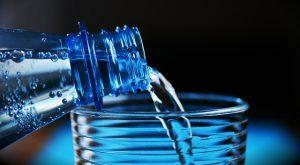 Cognitive changes may also be a sign of dehydration. Dehydration is one of the most frequent causes for hospitalization in the older adult population. Not only do warm temperatures contribute, but dry indoor living conditions also increase body heat that forces one to excrete fluids in order to stay cool, thus creating a need for more hydration. Offer a beverage the person likes. Offer fluids often throughout the day; consider doing so on a schedule, every couple of hours. Offer smaller quantities of fluid more often; older adults may be reluctant to drink larger quantities less often. See if the person seems to prefer drinking through a straw. Identify any continence concerns that may be making the person reluctant to drink. Consider helping the older person get to the bathroom on a regular schedule. This can be very helpful for seniors with memory problems or mobility difficulties. Track your efforts in a journal. You’ll want to track how much the person is drinking; be sure to note when you try something new to improve fluid intake. Offer extra fluids when it’s hot, or when the person is ill.
As caregivers, both family and professional, let’s make it our goal to prevent dehydration this summer.